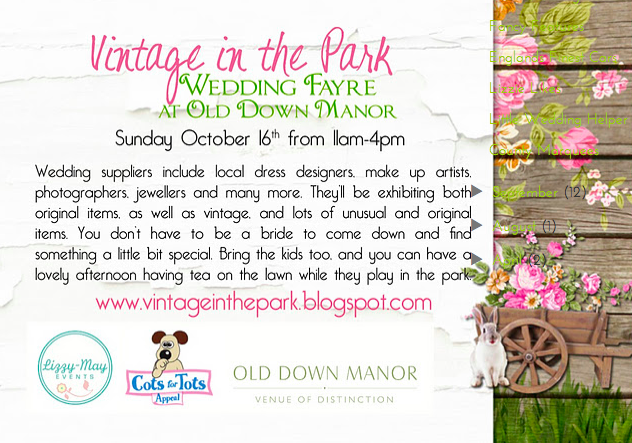 The Vintage in the Park Wedding Fayre will take place on Sunday, October 16th 2011 at Old Down Country Park. 11-4pm. Wedding suppliers include dress designers, make up artists, photographers, jewellers and many more. 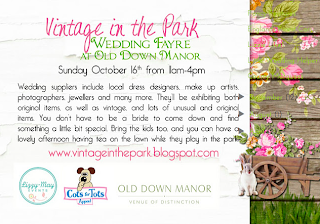 They'll be exhibiting both original items, as well as vintage. 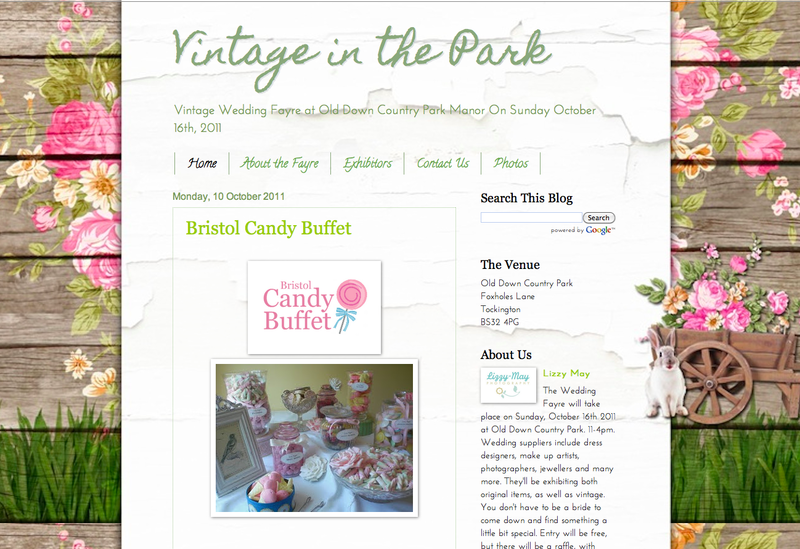 You don't have to be a bride to come down and find something a little bit special. Entry will be free, but there will be a raffle, with proceeds to go to the Cots For Tots Charity.